For the first time, all seven people charged in the shooting death of 10-year-old Makiyah Wilson appeared in court together Friday as the case against them moves ahead. A tentative trial date has been set for next year. 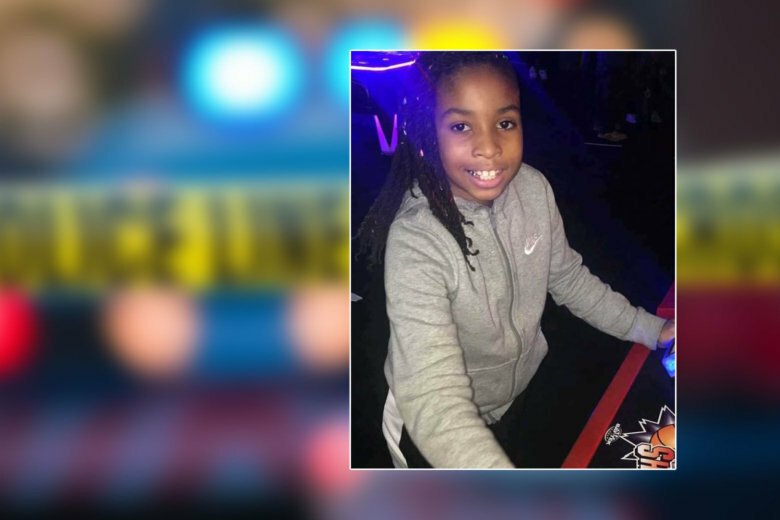 WASHINGTON — For the first time, all seven people charged in the shooting death of 10-year-old Makiyah Wilson appeared in court together Friday as the case against them moves ahead. The seven are accused in the death of Makiyah Wilson, who was shot as she walked to an ice cream truck in a Northeast D.C. neighborhood in July. Police say she was hit as bullets were fired into a crowd as part of a gang feud. The co-defendants went before a judge in D.C. Superior Court Friday. Six of them — Qujuan Thomas, Gregory Taylor, Quentin Michals, Darrise Jeffers, Mark Price and Marquell Cobbs — are charged with murder, while Quanisha Ramsuer is charged with obstructing justice. Ramsuer is the only one not being held before trial. During the hearing Friday, a tentative trial date was set for August 2020. One man was removed from the courtroom before the hearing. The victim’s mother, Donetta Wilson, later said the man had been taunting her by “singing the song, ‘this is the reason why the murder rate up. '” According to multiple reports on court documents, two of the suspects can be heard rapping similar lyrics in a video posted to Instagram.